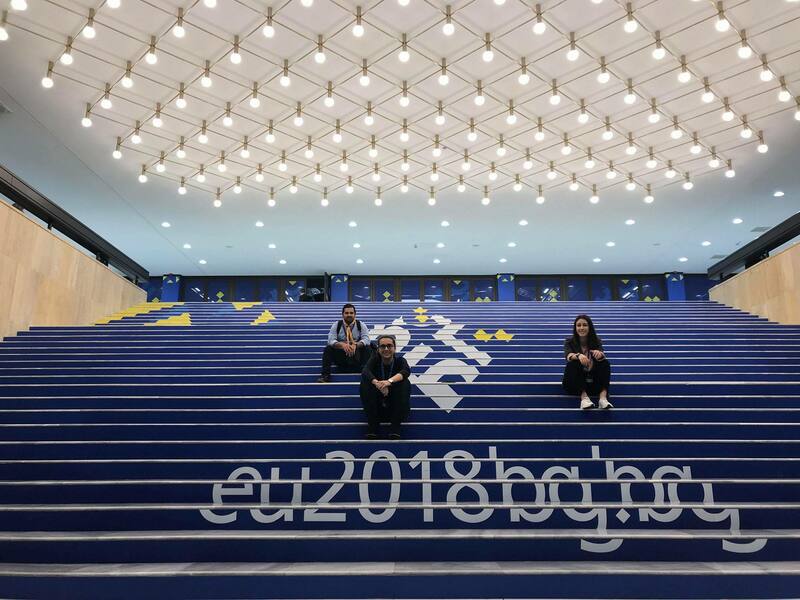 After three intensive days and hard work at the European Youth Conference in Sofia (16-19/04/2018), 250 young people and decision-makers came up with 11 new EU Youth Goals. Two out of the fifteen Youth Ambassadors of Structured Dialogue in Cyprus, Nikolas Athinis and Charis Achilleos together with Christiana Xenofontos , Youth Policy Officer at Cyprus Youth Council and also member of the National Working Group, have proudly and actively participated in the EUYC in Sofia. 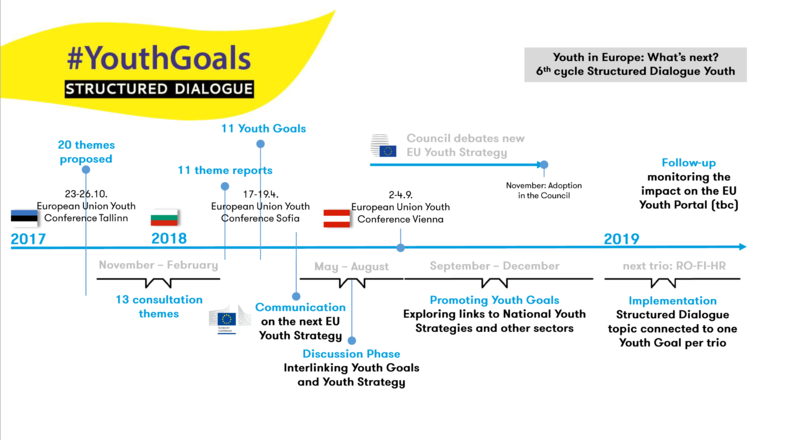 The 11 new EU Youth Goals, which are young people’s vision for youth policy in Europe, were firstly shaped by the ideas and opinions of 49,389 young people who participated in consultations, debates, discussions and events on the topic “Youth in Europe: What’s next?”, of the 6th cycle of #StructuredDialogue. Despite the missed opportunities of this European Youth Conference, such as the meaningful dialogue between youth representatives and decision-makers or the contradictory way of organizing, regarding the main aim of these 3 days and the entertainment in between, we as Cyprus Youth Council we will continue to fight for the equal rights of all young people and we will keep having as a motto the #SpeakUp, always in the framework of a Structured Dialogue even with those who refused to do so. As the Bulgarian Presidency very aptly set as a slogan “United we Stand Strong”, we support the team-spirit and the equal treatment of all partners and especially the equal and meaningful participation of all young people not only in the process of Structured Dialogue but in all forms of decision making. 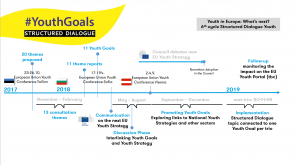 Thus, the 11 new EU Youth Goals are now our priority and we are in the process of communicating them on a National level to young people, policy-makers and government.